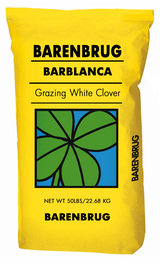 Barblanca ladino clover is a very aggressive large leaf white clover—combining high production and strong persistence. It is a high quality forage perfect for any ruminant, including cattle, sheep, goats, and deer. Barblanca is highly palatable and highly digestible. And unlike other clovers, it is especially well suited for grazing due to is exceptional persistence. Barblanca is a perennial legume which not only spreads by producing seed heads but also through above ground stems known as stolons. 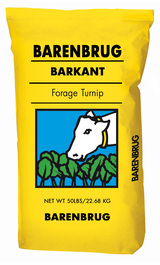 As a legume, Barblanca produces nitrogen through nitrogen fixation. Barblanca is pre-inoculated with bacteria to promote an optimal amount of nitrogen fixation. 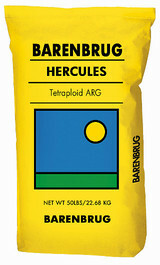 Also, Barblanca is coated with Barenbrug’s exclusive Yellow Jacket coating. Yellow Jacket coating, a compound that absorbs a minimum of six hundred (600) times its weight in water and increases healthy plant establishment.